On December 7, 2017, a 21-year-old white male posing as a student entered Aztec High School in rural New Mexico and began firing a handgun, killing two students before taking his own life. At the time, the news of the shooting went largely ignored, but the online activity of the alleged killer, William Edward Atchison, bore all the hallmarks of the “alt-right”—the now infamous subculture and political movement consisting of vicious trolls, racist activists, and bitter misogynists. 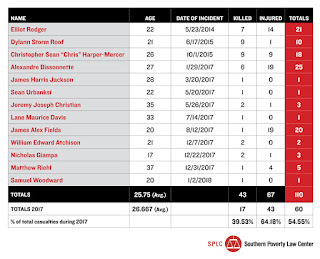 The Civil Liberties Group Southern Poverty Law Center (SPLC) counted over 100 people killed or injured by alleged perpetrators influenced by the so-called "alt-right" — a movement that continues to access the mainstream and reach young recruits. Today, the Florida Parkland (alleged) Shooter Nickolas Cruz was identified as part of a White Supremist Group, 'Republic of Florida', who rather than deny it, conceded that Cruz had taken part in the paramilitary exercises. 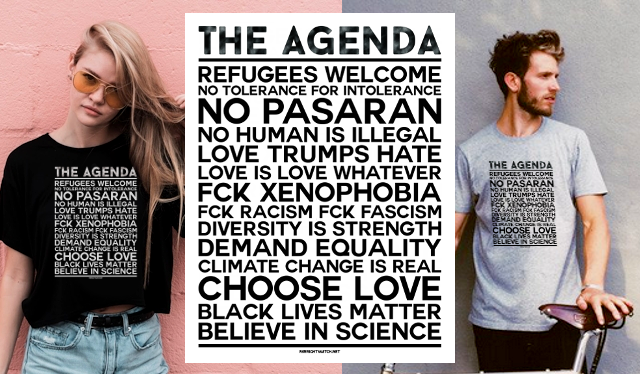 Here's a short list of just a few. 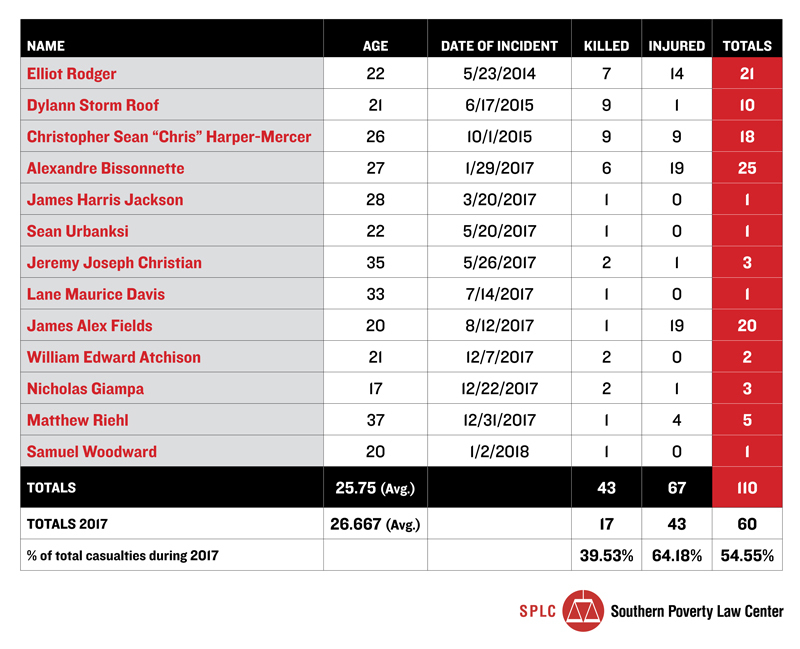 Full article is on the SPLC website, here.